Occasional-Cortex makes a fool of herself again! 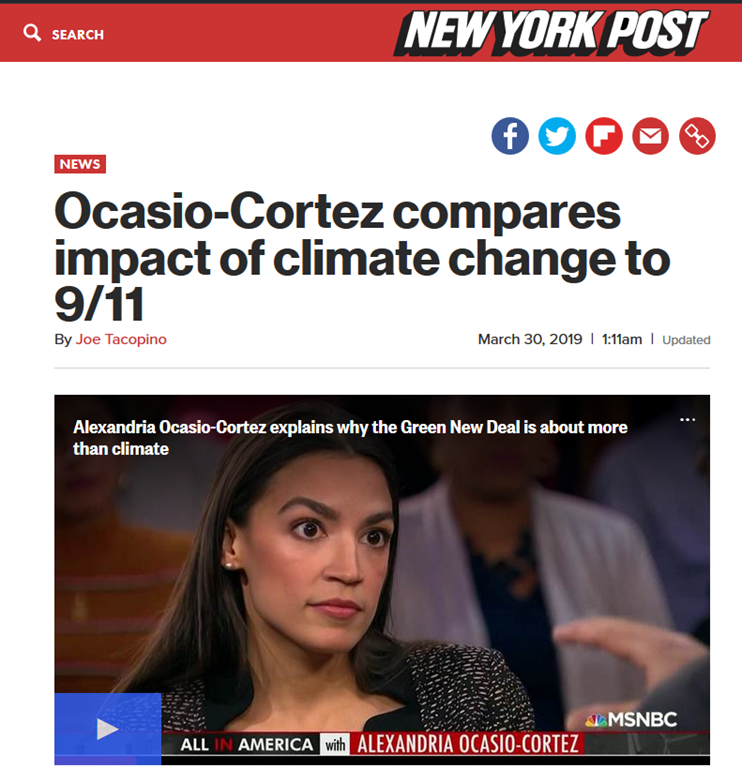 Alexandria Ocasio-Cortez called for more urgency to address climate change on Friday, comparing its impact on Americans to the tragedy of 9/11. The Bronx rep was discussing her Green New Deal on MSNBC when she said the devastation from Hurricane Maria in Puerto Rico was similar to the 2001 terrorist attack. “On the events on September 11, 2001, thousands of Americans died in the largest terror attack on US soil,” Ocasio-Cortez told host Chris Hayes. Ocasio-Cortez addressed the criticism of the cost of her plan by saying that the country needs to take action in order to avoid future catastrophe. “So this issue is not just about our climate. First and foremost we need to save ourselves. Period,” she said. And how, pray, will her plan stop hurricanes from hitting Puerto Rico? Major Atlantic hurricanes were just as common in the 1950s. Prior to that, we have no idea because many were not spotted. 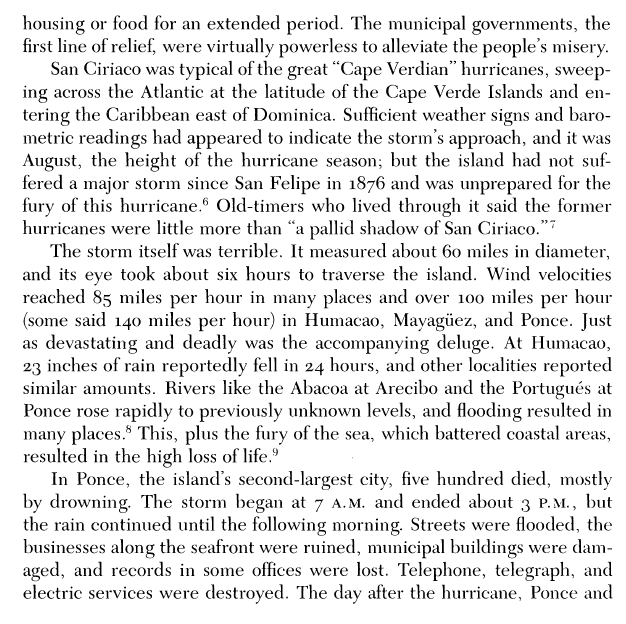 But we do know about the hurricane of San Ciriaco, AKA The Great Bahamas Hurricane, which killed more than 3000 in Puerto Rico in 1899. 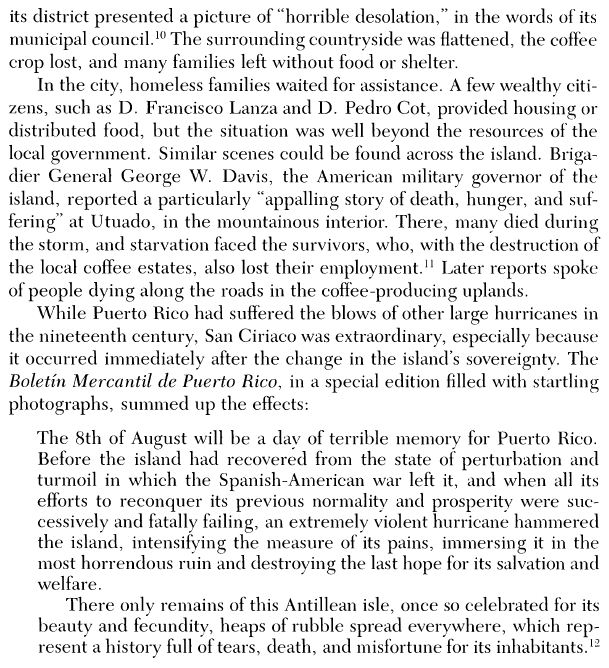 Given that Puerto Rico’s population has tripled since 1899, the death toll then was quite extraordinary. 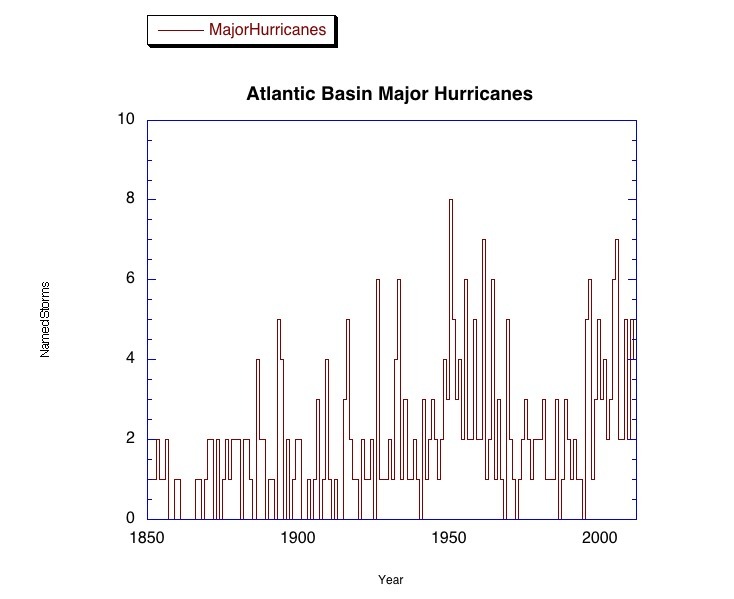 As for her claim that there will be no future for the Bronx, it is not clear that New Yorkers’ climate has changed much at all in the last 100 years. Perhaps she think they are all going to be swamped by the sea? It is baffling how AOC has attracted so much attention in such a short space of time, given that she evidently does not have a clue what she is talking about! ← UAH Global Temperature Update for March, 2019: +0.34 deg. C.